Imbued with insights drawn from modern psychology, folk-wisdom and the deepest wellsprings of a thinking heart, Das Mahavidya becomes an evolutionary scale for humans, a methodology for walking the spiritual path. It shows a way to coalesce immanent and transcendent, human and sublime, desire and illumination. Prof. Som P. Ranchan is a multifaceted, creative phenomenon—immensely prolific, innovative and committed. 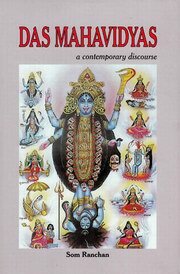 He has to his credit a rich oeuvre comprising remarkably diverse range of discipline such as literature, psychology; folklore, myths, Indian ethos, religion, Buddhism, Indian spiritual systems and traditions etc. He continues to make complex areas and issues accessible and comprehensible to contemporary readers. Besides, he is a poet extraordinary; having written more than thirty volumes of poems and still going strong and vibrant.